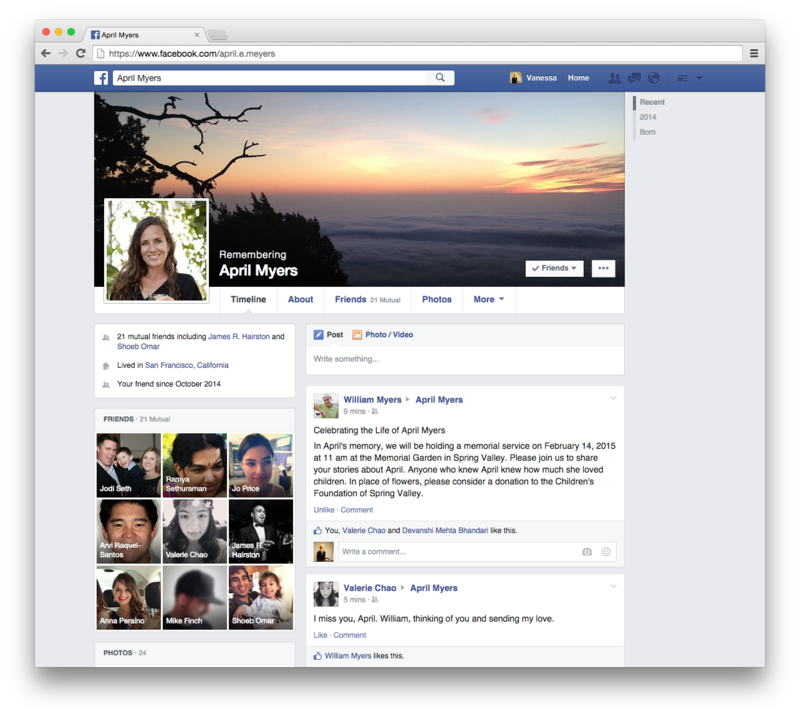 Last week, Facebook made headlines with its launch of an additional feature that allows members to designate other members as beneficiaries for—partial—postmortem account access. Most media outlets and pundits agreed that the additional controls are a step in the right direction. The announcement adds poignancy to the broader growing issue of claiming digital assets after death. Yet, a critical section to this 1-billion-piece jigsaw puzzle may be figuring out where estate-planning attorneys fit into a still-blurry picture. Currently, there are no measures to ensure that social media designated beneficiaries are accounted for in a plan or living will. Or, that a decision to select a beneficiary was made in the context of a plan after receiving qualified legal counsel. To recap the announcement, Facebook's new feature allows members to select a beneficiary and instruct Facebook whether that designee can view photos, posts and profile information. Beneficiaries are not able to log in as the individual but are authorized to access the information selected by the Facebook user. The feature does not give beneficiaries exposure to a deceased user’s “private” messages, or allow users to bequeath access to communication that it considers private. Presumably, access to private messages of deceased users requires authority through a court order. Facebook will allow individuals to decide whether they want to permanently deactivate their own account after the service is notified of their death. So, members can choose to have their account shut down. Facebook states that Legacy Contacts cannot: "Remove or change past posts, photos and other things shared on your Timeline," so they have neither the ability nor authority to delete accounts. But, Roberts' point about considering scenarios that can attract conflict or confusion is an excellent one. Legal costs aside, most people would choose to work with an attorney to understand the breadth of options in relation to estate planning nuances to make informed decisions. At the moment, estate laws vary at the state level and have lagged behind defining what happens to posthumous digital assets versus more established guidelines that exist for physical belongings. In recent years, states have only begun to consider legal recommendations for uniform legislation that addresses the subject. But state laws are pitted against user agreements that vary by digital service provider. Most of these agreements describe levels of privacy terms and their relationship with registered users while they are living—not after they die. Because the issue is complex legally, families of lost loved ones need help navigating how to decide best options for digital assets upon death. For example who should your Facebook Legacy Contact (beneficiary) even be? What happens to your account access if your beneficiary dies? Why only one beneficiary in Facebook when perhaps you want to designate multiple people in your living will? What if you want to pass along assets in your account to a future generation, for example, your great grandchildren? Also, what if someone dies and does not designate anyone as a beneficiary or specify whether they want to delete their account, but their living will states otherwise? Or, what if they don’t take either action but their family needs access? Estate planners, not your average Facebook user, are most qualified and equipped to find solutions to these and other scenarios. 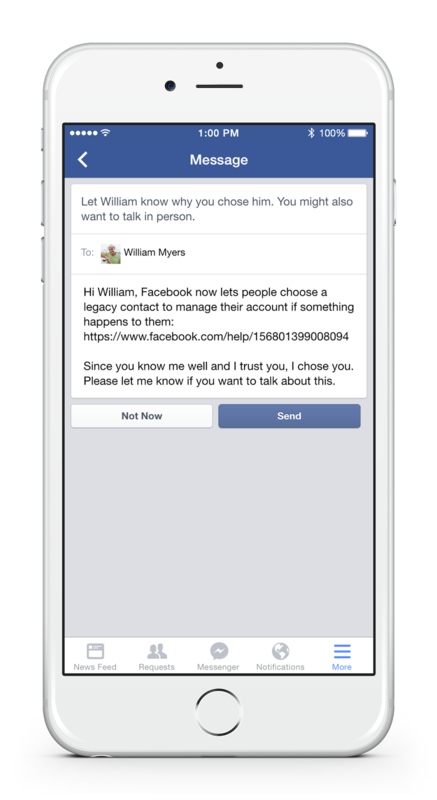 Effectiveness of the new "Legacy Contact" feature may also depend upon Facebook’s ability to let members know options exist. “We hope this work will help people experience loss with a greater sense of possibility, comfort and support,” the Facebook team behind the new feature says. Yet, one week after the public announcement, the majority of the communication appears to be outside of the company with millions of results appearing in a Google News search, and no conspicuous Facebook notices or additional resources for its members, their families or estate planners. Another complicating factor is that Facebook has not changed how it receives notification of deceased members and, primarily, relies upon their friends and relatives to inform and confirm death through an online form. Facebook also states that: “Verified immediate family members may request the removal of a loved one’s account from Facebook.” This issue is another area to watch not only with Facebook but also across the industry as some service providers’ advertising can be priced upon impression totals and member counts. If advertisers are left in the dark regarding a growing number of potential unknown deceased user accounts lingering among the living, they will surely question inflation of totals for reach, related costs and return. With newer options like Facebook's Legacy Contact, attorneys who specialize in wills and estate planning will need to have more active dialogue with clients who can then decide whether their digital traces should be preserved and inherited or removed. Ideally, estate planning should be considered as part of Facebook’s bequeathing process by asking users whether they have consulted a qualified attorney as part of their decision-making diligence. Contact information for attorneys who are linked to members’ living wills or executors, should therefore be registered to help close a large loophole for purposes such as matching preferences in wills with Facebook legacy designation. And better contact with estate planners could also lead to more frequent and efficient confirmations of deceased users. That action could also allay future confrontations about advertising affecting service providers' bottom lines. 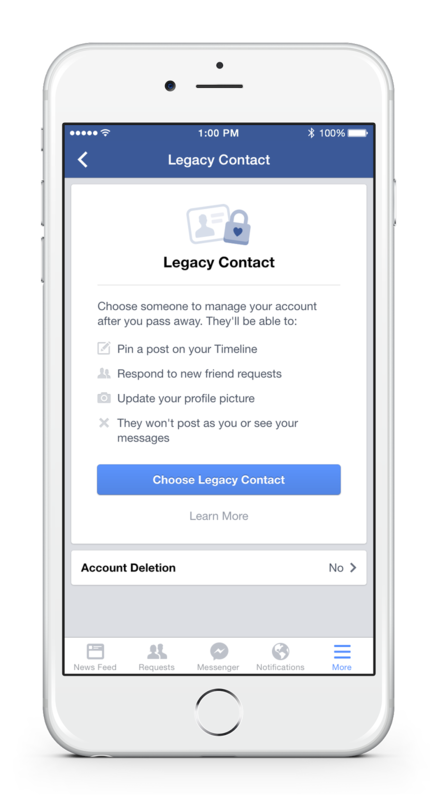 Facebook has recognized the importance of the "Legacy Contact" feature and the sensitivity of the topic among its vast user base. However, by adding such simple, easy-to-use controls without additional checks, due-diligence communications and resources to reveal ramifications, Facebook might be enabling users to make uninformed, if not hasty, choices. What's your impression—how should the feature be improved for better digital estate planning? Jeff Conlin is Director of Marketing for SafelyFiled.com. While attending Syracuse University for his master's degree in communications management, Jeff used Q Methodology to research attitudes in Facebook surrounding grief and loss, digital assets and public communications.